Message summary: My emphasis on two words of encouragement is issued to each reader today. Stay faithful! Stay faithful! Stay faithful! 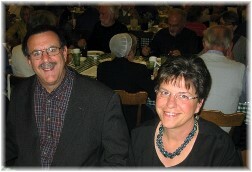 Richard Spiegel is a friend we see weekly in the course of our chaplaincy work. He is a project manager at White Oak Display. We both share a common interest in trains and railroads but more importantly we have a common faith in Jesus Christ. He snapped our lead photo today on Maryland Heights, a bluff overlooking Harpers Ferry, West Virginia. Maryland Heights is the highest mountain overlooking Harpers Ferry. 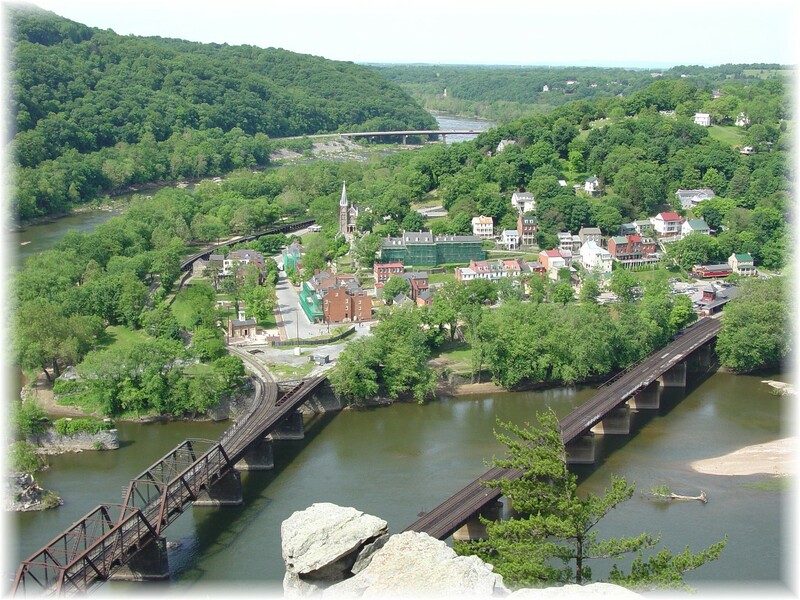 Its southern face is a 300-foot vertical cliff that towers over the small hamlet of Harpers Ferry, the Potomac and Shenandoah Rivers, the Baltimore & Ohio Railroad and the Chesapeake and Ohio Canal. It’s located here on Google maps. Richard told me it is a rather demanding two mile hike to reach the point of the bluff. When his son was around 12 he wanted to take him there for the first time. Richard had been there and knew the special view that waited at the end over the bluff. But it was his son’s first time and he did a bit of grumbling as they hiked along. But then, upon reaching the picturesque destination, his son’s response to the view assured his dad the strenuous hike had been worth it after all! Remember, Richard had already made the hike and, while trudging along he knew it was going to be worth the effort, once they reached the scenic overlook. But his son had never seen it and wondered why his dad was putting him through this unpleasant experience. Sometimes it’s that way for us as children of our heavenly Father. Our daily text describes our journey through this life as a race, which of course is similar to a hike. This hike includes hard times with unexpected bumps, potholes, and unwelcome terrain as part of God’s mysterious but providential plan. Along this hike we will have seasons of pain, disappointments and unanswered questions may daunt us. We may wonder; is it really worth it? On a personal level some bear more burdens, not of their own making, than others; whether it be a physical affliction, difficult spouse, special needs child, absentee parent or child, or numerous other ways. Many live in places where expressing faith in Christ and living it out comes at a great price. Some have worked in a prison ministry only to see that promising young man return to his old, destructive way of life. Others have taught Sunday School and grieve as you see the bad choices some of your students have made as they’ve gotten older. Parents know the pain of seeing a child take the wrong path and are waiting for their return. Many of my pastor peers know what I mean when we describe some aspects of ministry as one step forward and two steps back! Daily prayer: Father, we’re so thankful for the living Bible that reveals the lives of many patriarchs, prophets, priests, disciples, kings, and common ordinary folks like us. We read their stories; their temptations, their triumphs, their tragedies, their testimonies and their overcomings. One of the great lessons we learn from the canonized Scripture is that all of human creation goes through peaks and valleys, triumphs and tragedies, unexpected losses and surprise victories. Through it all Your Word spurs us on to become faithful servants of God in the midst of it all and to stay faithful all the days of our lives. We may not see the reward on this side, but it awaits us in glory where we store our treasures of eternal worth that will never disappoint or bring defeat. As conquerors through Christ who loves us You made a way for us to enter eternity where we will delight in the forever hereafter. Keep us patiently faithful until that appointed time, in the name of Jesus we pray. Amen.